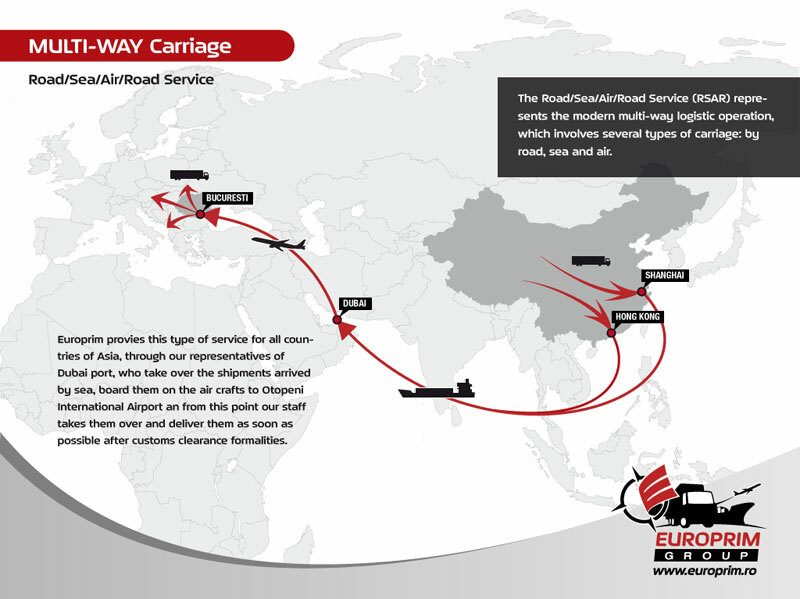 Road Sea Air Road Service, or RSAR, is a multimodal transport operation offering a combined road-sea-air-road service from the Far East to Romania via Dubai. After pick-up, shipments travel by sea freight from the Far East to Dubai, where our agents promptly transfers the cargo to the Dubai International Airport. Then the shipments are air freighted from Dubai to a number of European destinations, including Otopeni airport, using premier airlines with fast transit time. RSARS is a cost effective alternative for cargo shipments to Romania, offering very competitive rates, fixed schedules and reliable carriers. The Europrim Group, through its international agents network, has achieved good experience in road-sea-air-road multimodal transport to Europe, and has applied this know-how also to Romania in order to create the first logical combined transport solution for the country. 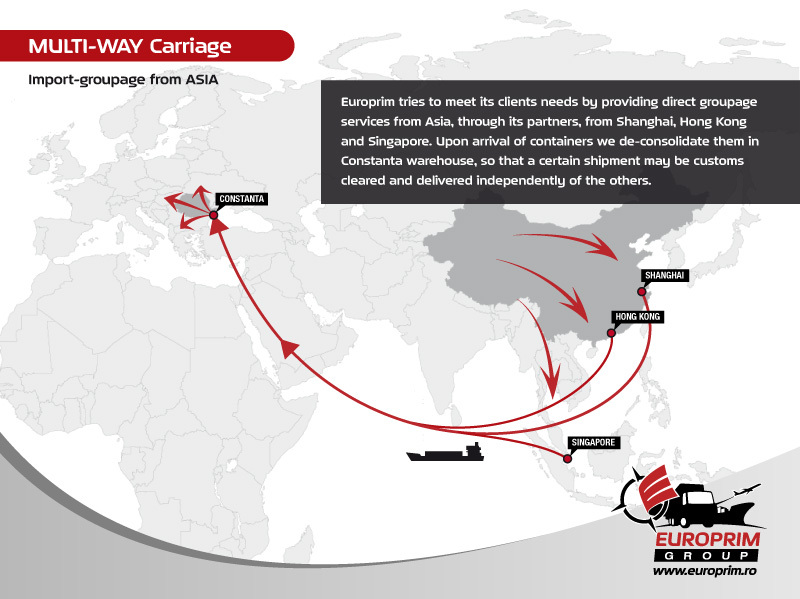 Following the successful cooperation with some of the most prestigious Chinese freight forwarding companies focused on the Black Sea freight market, we have opened a weekly direct consol service from Hong Kong, as a transhipment hub for cargo coming from all over China and other Far East origins. Regardless you want to ship a 20 kilos package or 10 cubic meters of cargo, we will pick it up from your supplier's warehouse and deliver it to your door, anywhere in the country, with full costs advised to you at the moment of the first quotation. 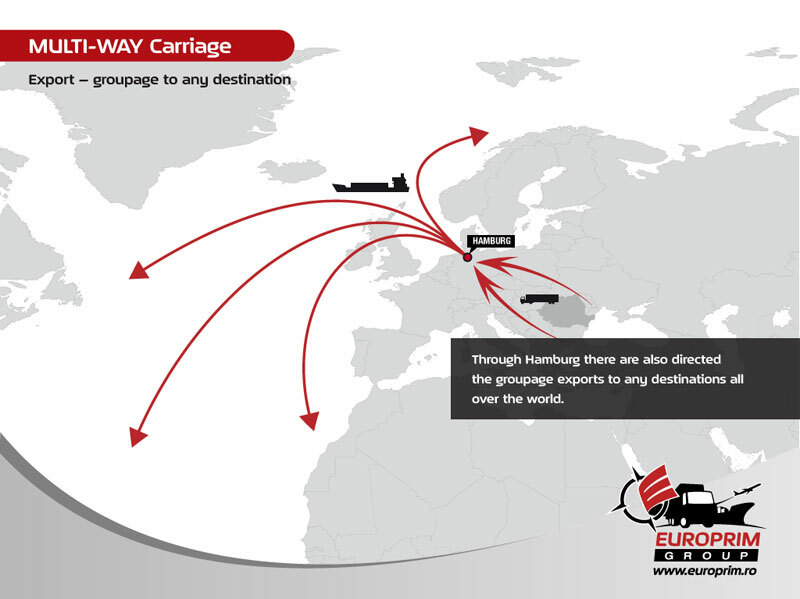 We are offering also import LCL services from USA, Canada and South America via the North European port of Hamburg. 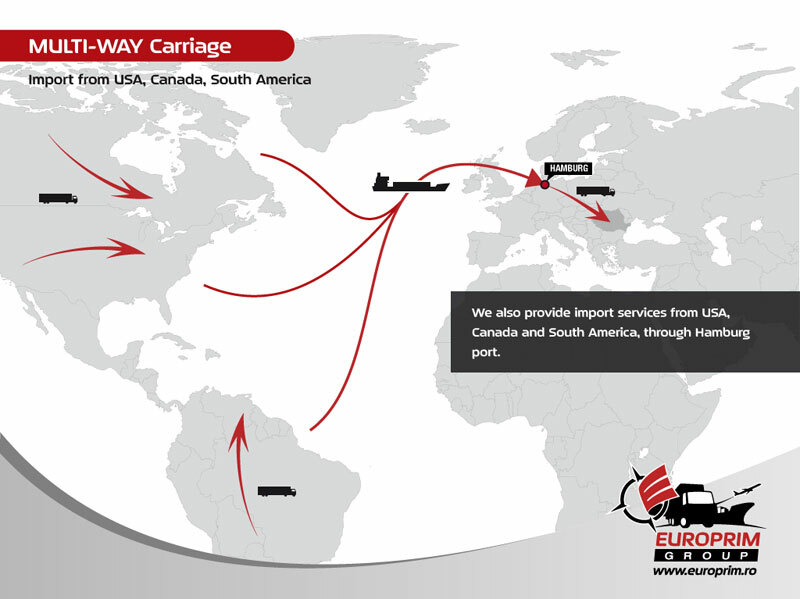 These ports are also used for LCL export shipments from Romania to any destination in the world. For working procedures, sailing schedules, freight quotations or any other extra information, just contact us and we will be glad to serve you.